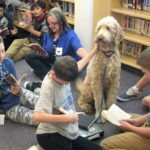 South Ogden Junior High students who read to Bentley the goldendoodle boosted proficiency by a full grade level in just half a year. 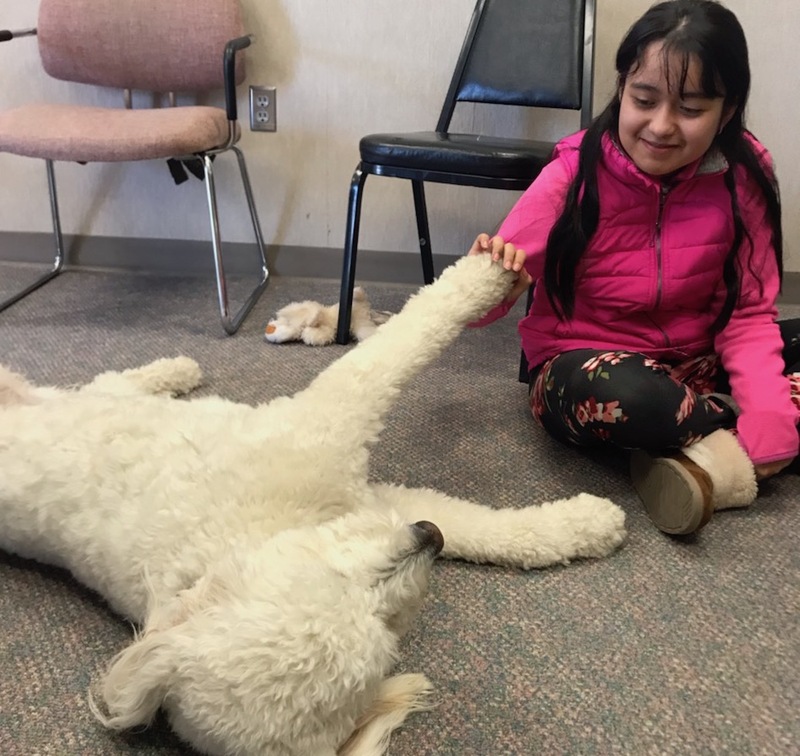 To reach these goals, educators must focus as much on the animals’ needs as they do on the comfort of students, says Jennifer VonLintel, a counselor. Her golden retriever, Copper, serves as a therapy dog at B.F. Kitchen Elementary School in Colorado’s Thompson School District. 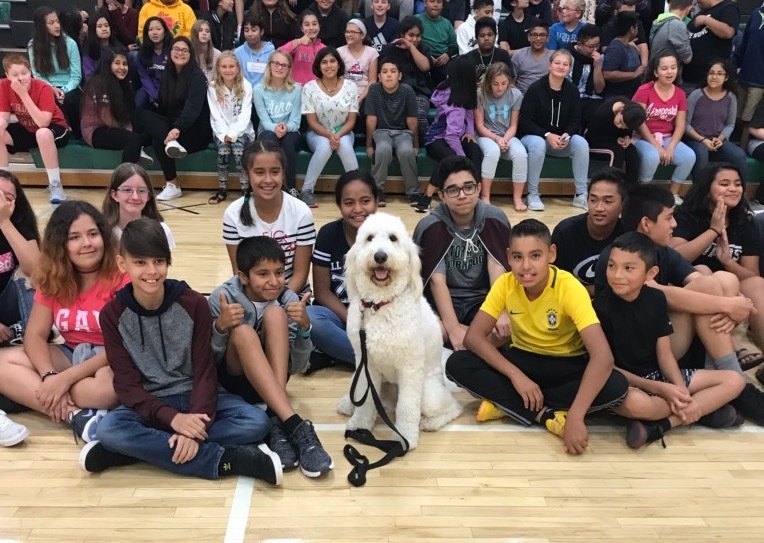 Administrators should start by bringing in outside volunteers with dogs, rather than having the school adopt a dog of its own. 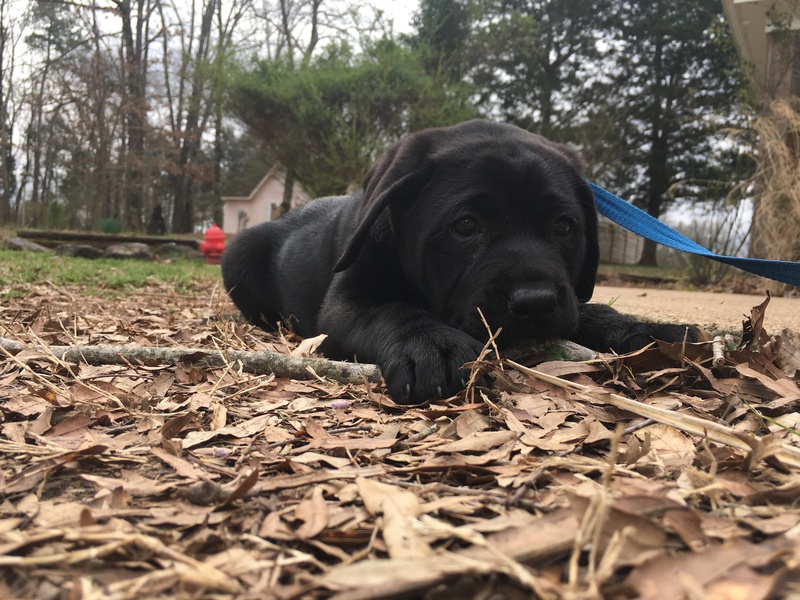 Administrators should be wary of handlers who use shock collars or other negative training methods because they can stress the dogs and prevent them from bonding with students. Volunteers should first work with a small group of students and teachers. 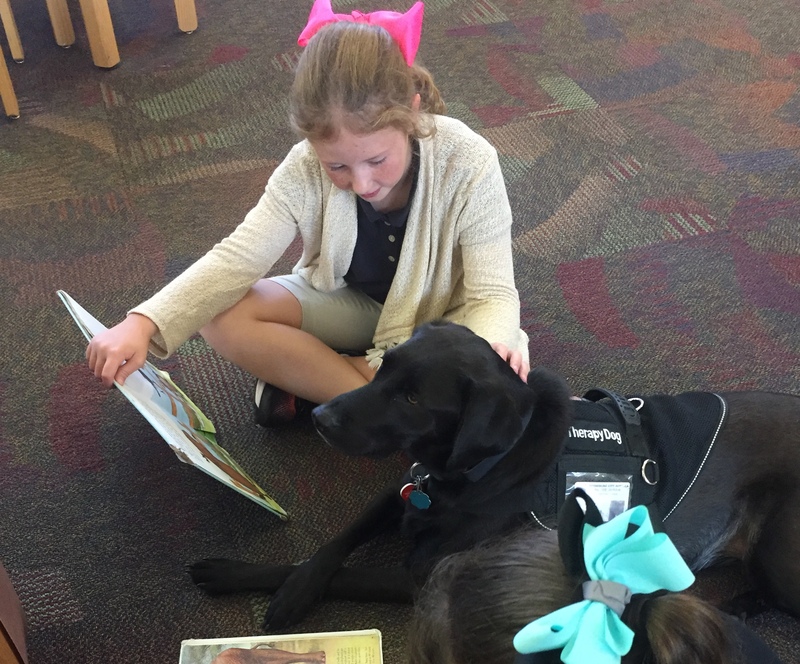 At the same time, educators should begin planning what activities and interventions therapy dogs will be involved in, and where the work will take place. “A lot of people bring in dogs, but they don’t have goals for the program,” VonLintel says. 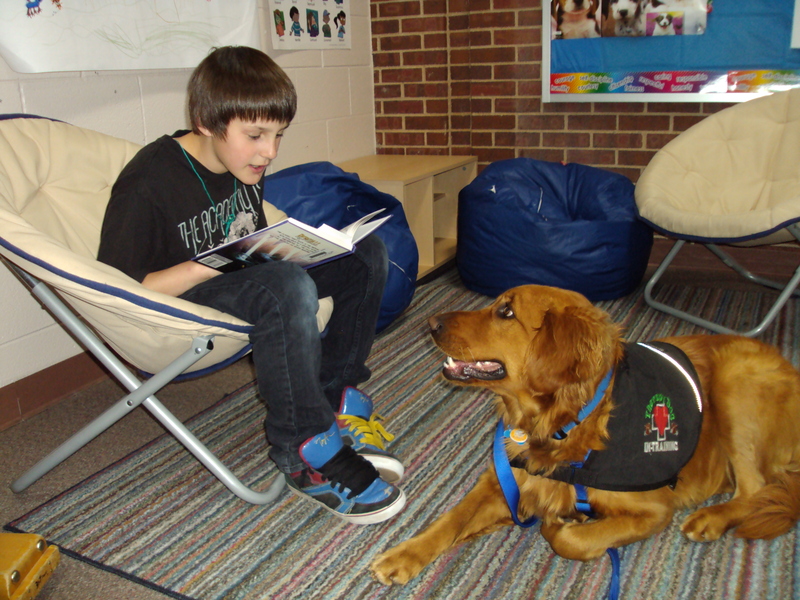 When schools adopt their own dogs, the animals typically become the pets of a staff member. But dogs cannot work the long hours that their humans do, so owners must give their animals some days off during the week. Administrators with canines in their classrooms can take proactive steps if students are afraid of dogs or have allergies. 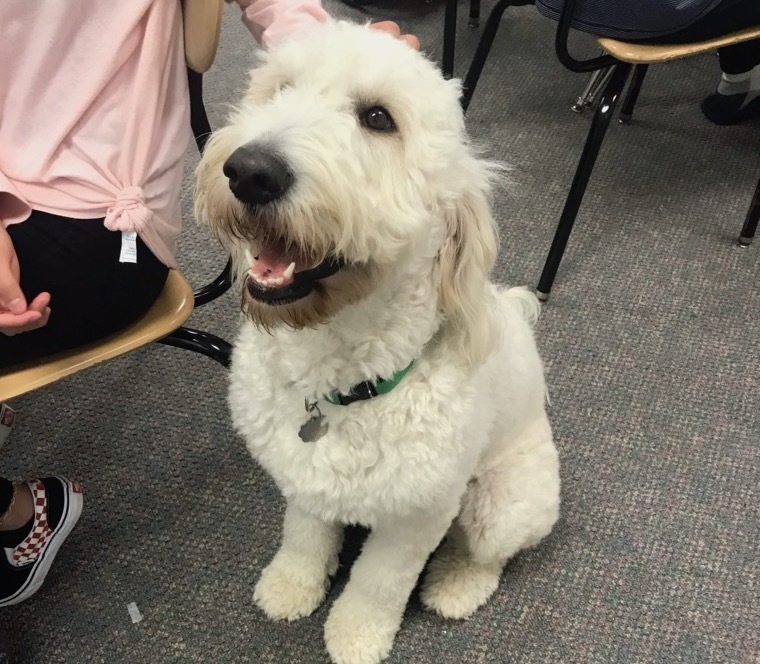 Jaymie Bral, the assistant principal at Storm Lake Middle School in Iowa’s Storm Lake Community School District, began bringing his goldendoodle, Dory, to work as a therapy dog this school year. At registration, parents were asked to identify children who had allergies or fears. 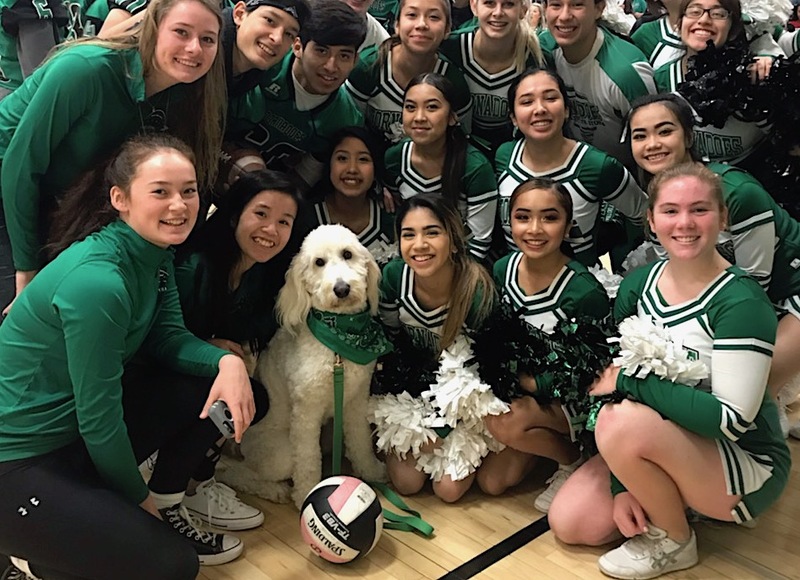 Bral made sure to keep Dory away from such students, but that doesn’t mean they haven’t spent some time with the dog. Bral, who manages discipline at his school, mainly uses Dory to help calm students who are having emotional outbursts, particularly those who have suffered trauma. When students are sent to Bral, Dory is often by his side (at least she is on Mondays, Wednesdays and Fridays). Dogs don’t only help students relax. 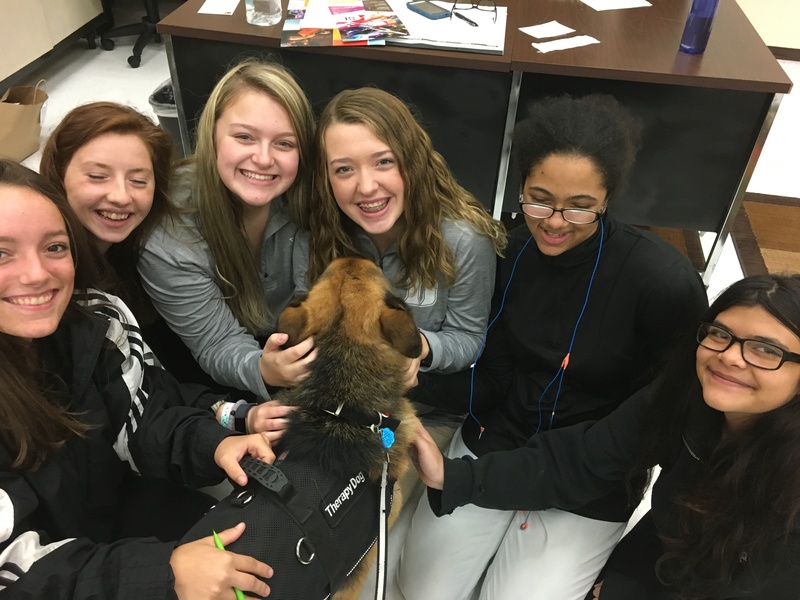 Teachers and staff in Dyersburg City Schools in Tennessee will often seek out one of the district’s four therapy dogs to recharge. 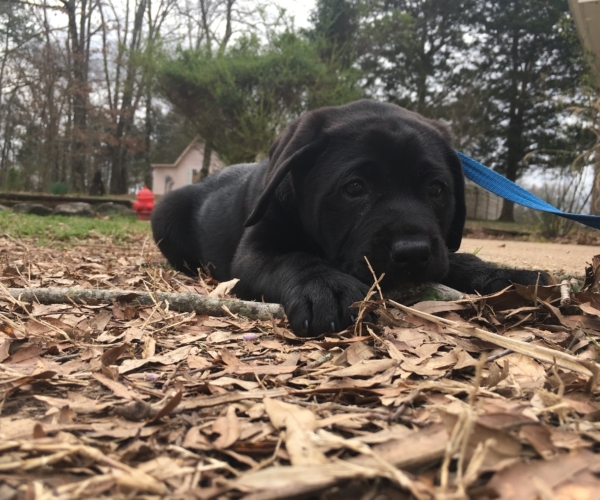 Neel Durbin, director of Dyersburg City Schools in Tennessee, has brought in several therapy dogs to help students and teachers relax. Dyersburg’s therapy dog team includes Bear, a German shepherd, which can be considered an aggressive breed. It means Bear spends all of his time with Durbin, usually at the high school. Advance teacher evaluation, student-centered learning, SEL and districtwide growth are some of the session topics for teacher leaders, principals and superintendents at the Building Expertise Educators Conference in Orlando, Fla., on June 12-14. The event features neuroscientist Dr. David Sousa. 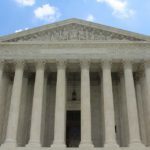 One of the oldest districts in the nation recently completed its first construction project in 15 years by rebuilding a school to accommodate STEM learning for grades 6 through 12. Administrators in Boston Public Schools wanted to make an existing school more STEM-driven, but since the building could not support the necessary renovations, it was demolished to make way for a new facility.